KITCHENER, ON--(Marketwired - April 21, 2017) - Waterloo Brewing, the craft beer division of Brick Brewing Co. Limited ("Brick" or the "Company") (TSX: BRB), Ontario's largest Canadian-owned brewery, today announced the arrival of Waterloo Citrus Radler, just in time for the warmer seasons. "When you combine real citrus juice with a quality craft lager, the result is pure refreshment", said Sean Dennis, Director of Marketing. "As Ontario's Original craft brewer we have a tradition of creating new and interesting craft styles for the beer drinkers of Ontario to enjoy. 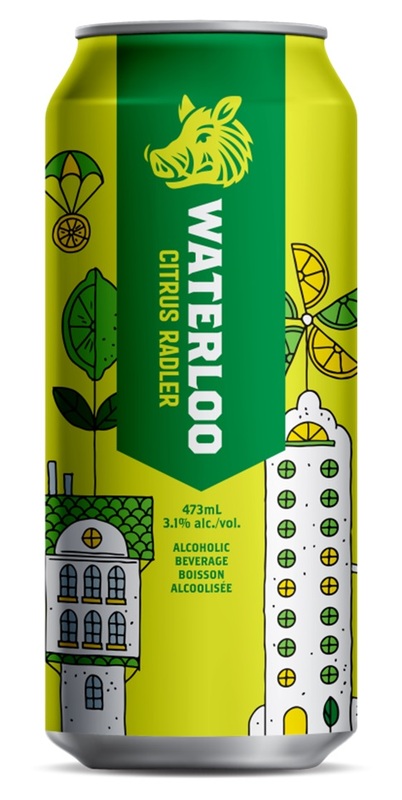 This new Waterloo Citrus Radler boldly follows in the very big footsteps of our Grapefruit Radler -- the #1 selling Canadian made radler in Ontario." "Waterloo Citrus Radler perfectly blends the tartness of lime and the zest of lemon with a quality crafted lager", said Jim Manz, Director of Sales. "The result is a craft beer worthy of our boar's head and all it represents. We have the highest product quality standards of any craft brewer in Canada, and as our boar suggests those are standards we stubbornly refuse to compromise." Waterloo Citrus Radler is available in 473ml cans for $2.75 at The Beer Store locations across Ontario and coming soon to the LCBO. Brick is Ontario's largest Canadian-owned brewery. The Company is a regional brewer of award-winning premium quality and value beers and is officially certified under the Global Food Safety Standard, one of the highest and most internationally recognized standards for safe food production. Founded in 1984, Brick Brewing Co. was the first craft brewery to start up in Ontario, and is credited with pioneering the present day craft brewing renaissance in Canada. Brick has complemented its Waterloo premium craft beers with the popular Laker brand. In 2011, Brick purchased the Canadian rights to Seagram Coolers and in 2015, secured the exclusive Canadian rights to both LandShark and Margaritaville. In addition, Brick utilizes its leading edge brewing, blending and packaging capabilities to provide an extensive array of contract manufacturing services in beer, coolers and ciders. Brick trades on the TSX under the symbol BRB. Visit us at www.brickbeer.com.